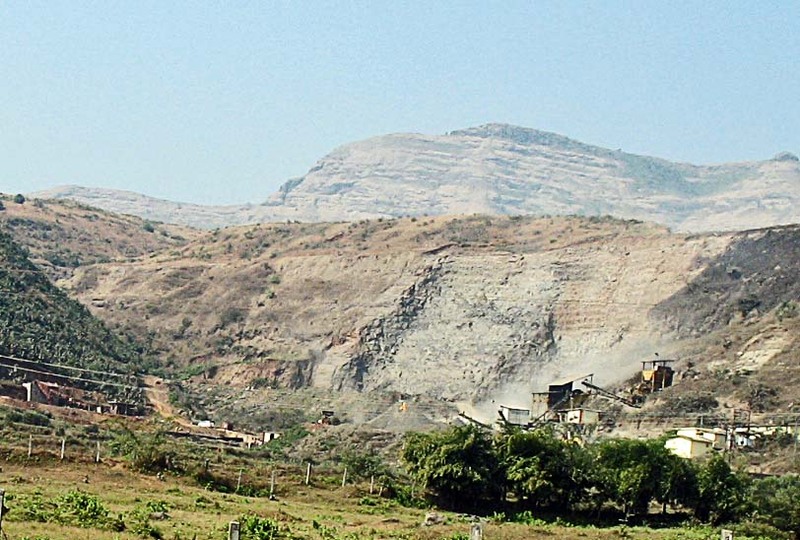 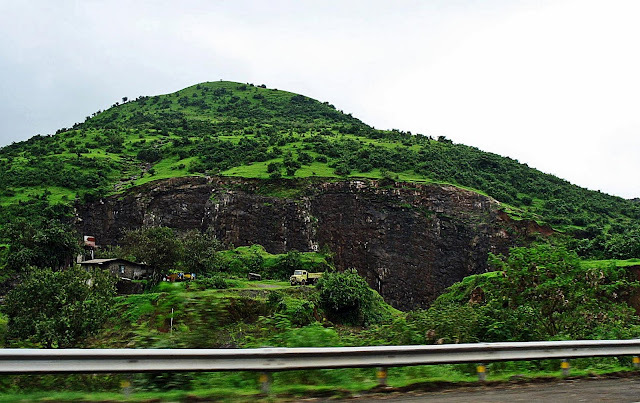 Here are photographs of a stone quarry in Maharashtra, India. The shorn hillhide and the machinery for quarrying are visible in the images. 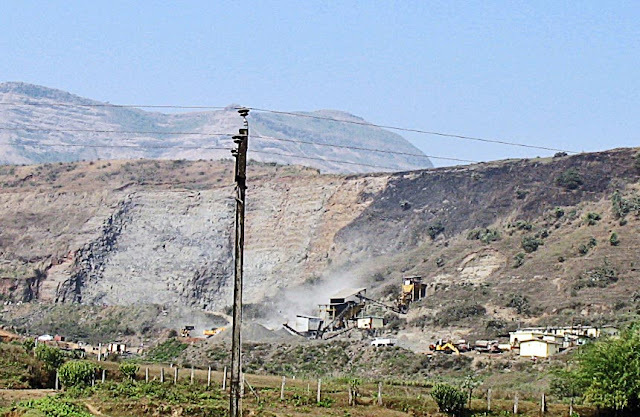 The quarrying is being done in a rural area.